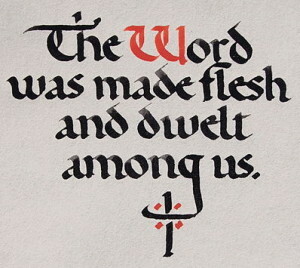 A distinctive style of artistic handwriting created by using special pen nibs that allow a calligrapher to vary the thickness of a letter’s line elements; an elegant, decorative writing, developed to an art form itself, used to enhance the artistic appeal and visual beauty of handwritten papers and manuscripts. A heavy, closely woven fabric; an oil painting on canvas fabric; the support used for an acrylic or oil painting that is typically made of linen or cotton, stretched very tightly and tacked onto a wooden frame. Linen is considered far superior to the heavy cotton for a canvas. Click for more information on the different types of canvas available for painting. An emphasized area of the composition. Also referred to as the focal point. The art of making objects of clay and firing them in a kiln. Wares of earthenware and porcelain, as well as sculpture are made by ceramists. Enamel is also a ceramic technique. Ceramic materials may be decorated with slip, engobe, or glaze, applied by a number of techniques, including resist, mishima, and snag gam. Pots made can be made by the coil, slab, some other manual technique, or on a potter’s wheel. Compressed burned wood used for drawing. A city landscape; a painting of a city; in art it is the urban equivalent of a landscape. Also called urban landscape. Click for more information about cityscapes. A form of art derived from the study of Greek and Roman styles characterized by harmony, balance, and serenity. In contrast, the Romantic Movement gave free rein to the artist’s imagination and to the love of the exotic. 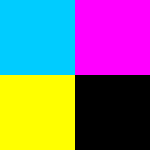 The abbreviation for cyan (C), magenta (M), yellow (Y) and black (K). These are the four primary colors used in process printing. Introduced by the Cubists, the technique of creating a work of art by adhering flat articles such as paper, fabrics, string or other materials to a flat surface such as a canvas whereby a three-dimensional result is achieved. A visual attribute of things that results from the light they emit or transmit or reflect; the visual response to the wavelengths of light, identified as red, blue, green, etc. ; primary and secondary colors; warm, cool, and neutral colors, color value; hue; and intensity. For more information about color, see “Basic Art Element — Color“. Refers to a pigment’s lasting power. Tubes and other containers of paint are sometimes labeled with a code indicating a color’s degree of permanence. A traditional photographic process of separating artwork into component films of cyan, magenta, yellow, and black in preparation for printing to ultimately create a full-color printed product. Recent computer innovations have obviated the need for separated film negatives in certain applications. A round diagram that shows the placement of colors in relationship to each other. 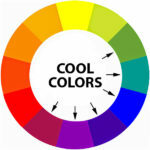 It is from the color wheel that “color schemes” are defined. 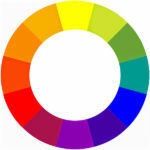 For more information on the color wheel. Refers to the act of hiring someone to execute a certain work of art or set of artworks. Two colors directly opposite one another on the color wheel. When placed next to one another, complementary colors are intensified and often appear to vibrate. When mixed, brown or gray is created. Red and green, blue and orange, and yellow and violet have the greatest degree of contrast. Red-violet and yellow-green, red-orange and blue-green, and yellow-orange and blue-violet are also complementary colors. The arrangement of the design elements within the design area; the ordering of visual and emotional experience to give unity and consistency to a work of art and to allow the observer to comprehend its meaning. Refers to visual images made with the assistance of computers. Computer graphics are often made with software called drawing, painting, illustrating and photographic programs or applications. The difference between elements or the opposition to various elements. A principle of good design. See more info. Colors whose relative visual temperatures make them seem cool. Cool colors generally include green, blue-green, blue, blue-violet, and violet. The cutting out of extraneous parts of an image, usually a photograph; excluding part of a photo or illustration to show only the portion desired or to fit a given space requirement. A 20th-century French art movement that uses two-dimensional geometric shapes to depict three-dimensional organic forms; a style of painting created by Pablo Picasso and Georges Braque whereby the artist breaks down the natural forms of the subjects into geometric shapes and creates a new kind of pictorial space. One of the four process colors used in printing, or CMYK, the C is for cyan. Cyan is also a primary color along with magenta, yellow and black.